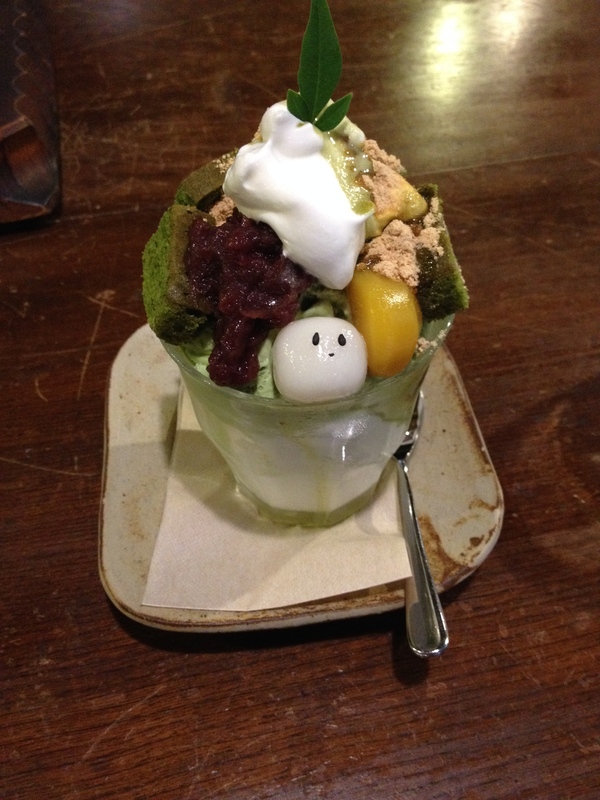 The cafe of this cute parfait is called “Kotoba no Haoto” which means “The Buzz of Words”. The name really reflects the reality because it became popular on the Internet after customers wrote about this cafe and its cuteness. There is always a long line waiting in front of this littel cafe. The cafe is located in a 150-year-old wooden house (machiya, 町家) in Kyoto, Japan. Apart from delicious dessert and food, you can also enjoy a great selection of books in the cafe. The hardest part is when you have to start eating this cute ice-cream before it melts away. The white smiling face is made of “mochi” or rice cake, and decorated with black sesame seeds. The rest of the ingredients are matcha cake, red bean paste, chestnut, cream and soy bean powder (kinako). Apart of this cute parfait, the cafe also makes a variation of cat-faced parfaits. You can check it out on the instagram #kotobanohaoto. A little thing in life made joyful. A great escape in Kyoto to spending time reading books. Next “If you want to go fast, go alone. If you want to go far, go together.” —African Proverb.